Per Løken and Romain Veber to oversee the US and Europe, respectively. Per Løken will oversee Norges Bank’s US Investments. Norges Bank Real Estate Management has promoted Per Løken and Romain Veber as its CIOs. Løken will oversee the company’s US investments, while Veber will oversee its European investments. 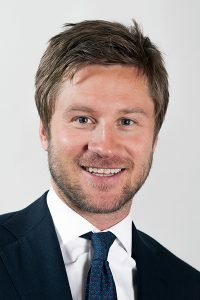 Løken joined Norges Bank Investment Management in 2011, primarily focusing on UK real estate investments. He was promoted to business manager in 2014, and most recently was the company’s interim CIO. Løken has a Master of Science in Real Estate from the UK’s Cass Business School. 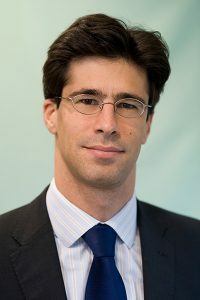 Veber also began working for Norges Bank Investment Management in 2011, starting out as a portfolio manager, leading the bank’s investment efforts in Paris focusing on French real estate investments. Prior to joining Norges Bank Investment Management, Veber worked with MGPA and Morgan Stanley. Veber has a Masters in Economy and Management from France’s ESSEC Business School. “I have been working with the fund since 2011, and am confident that we have a solid foundation for continued success and growth,” said Veber. The bank’s investments in unlisted real estate returned 1.7% in 2016, and had a market value of 191 billion kroner. The fund held 807 properties in its portfolio totaling 15.4 million square meters, and investments were spread across 13 countries and five currencies. Romain Veber will oversee Norges Bank’s European investments.